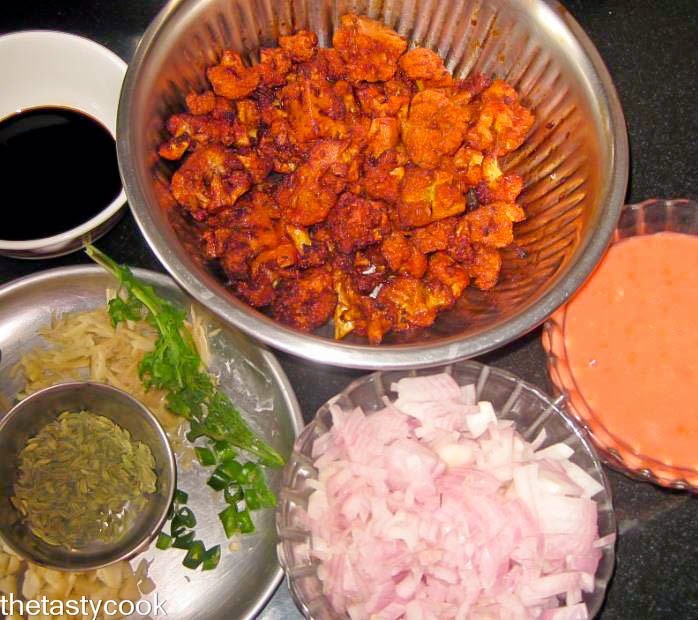 Gobi or cauliflower Manchurian is one of the best Indian and Chinese recipe. It is prepared with deep fried cauliflower and sauce gravy. I am preparing tomato puree instead of tomato sauce. I am using only soya sauce and i am not using any other sauces. It is a very good starter ans also we can have as a side dish. 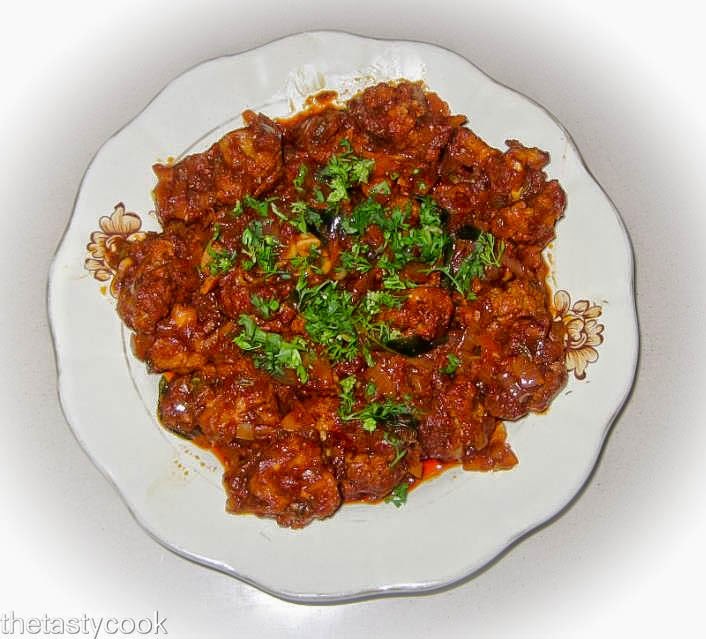 Whenever we are going for outing or restaurant, i used to search Gobi Manchurian in menu card. I am preparing this in home made style. It was very tasty and my mother-in-law liked very much. I am happy to share this recipe with you all. 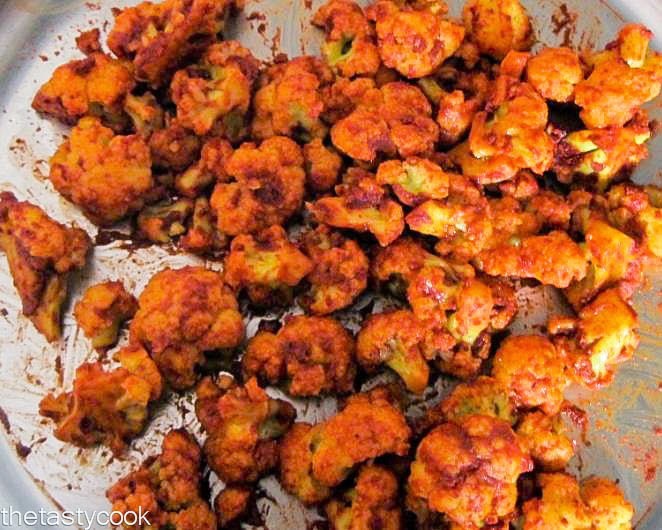 Cut the cauliflower, add turmeric powder and bring it to boil for 2-3 minutes. 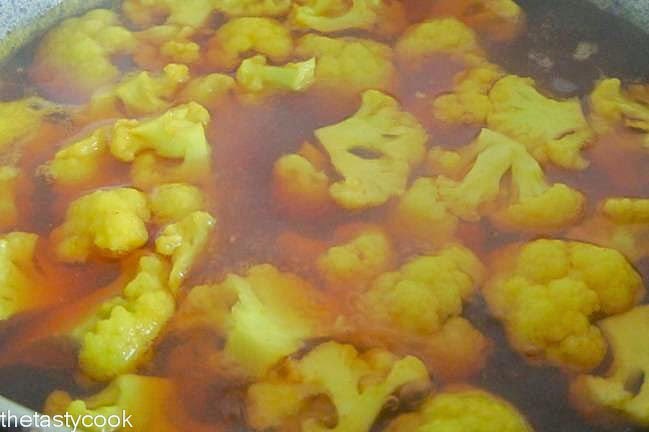 When the Gobi started boiling, take out from the flame and drain the water. 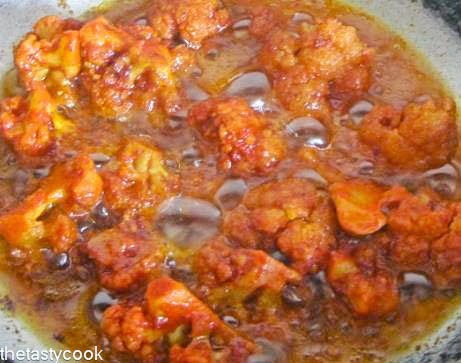 So that the Gobi will be cleaned and then we can add marinate ingredients with the drained Gobi and bring it to soak for 15-30 minutes. After the marinated Gobi soaked well, deep fry them. Heat oil in a pan, add fennel seed. 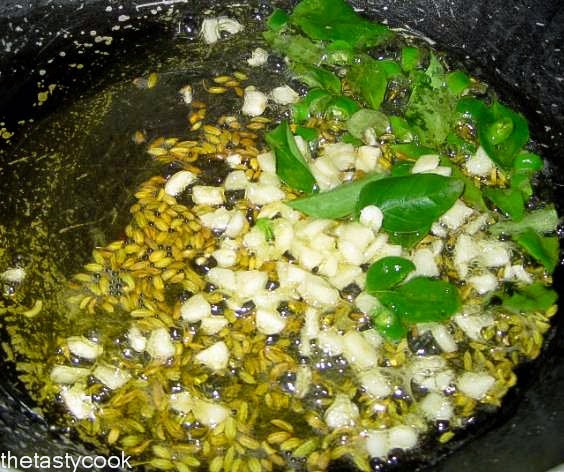 Add grated ginger, chopped garlic, chopped green chilly, curry leaves and saute well. 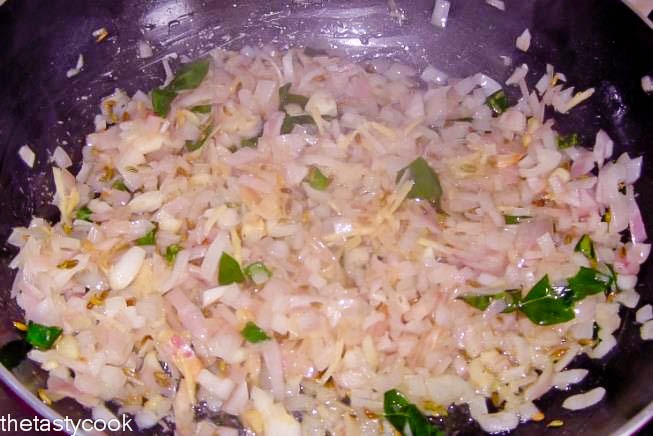 Add nicely chopped onion and saute till the onion turns golden brown. 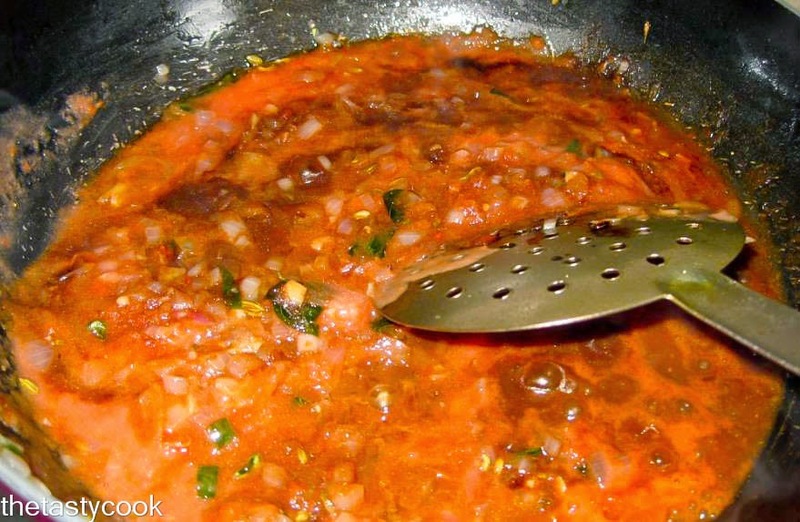 Add tomato puree, soya sauce, salt and bring it to cook well till the raw smell goes. We can add capsicum, spring onions as well. We can use tomato and chilly sauces.